Laura Kelly Photography Blog :: Ottawa Wedding and Engagement Photographer: fall mini sessions! 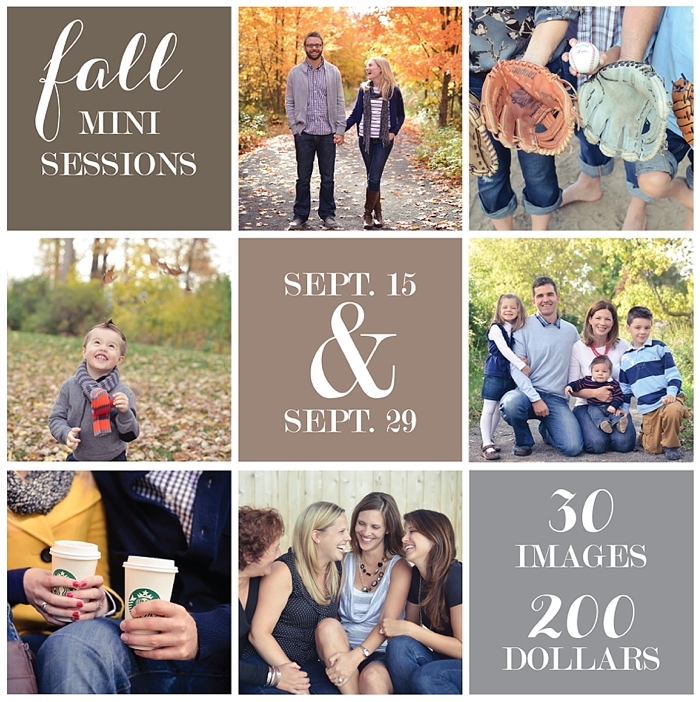 Mini sessions are here again -- and they're going quick! I think at this very moment I only have 10 spots remaining. Send me an email to book your spot! The sessions will last roughly 30 minutes, and I'll include 30 photos in a digital collection for you to download, save, and share however you'd like! At $200 per session -- it's perfect for everyone! this Fall goodness on the blog! !